Step out of your wine comfort zone this summer and discover a new Italian white wine! High quality Italian wines pair well with seafood dishes. 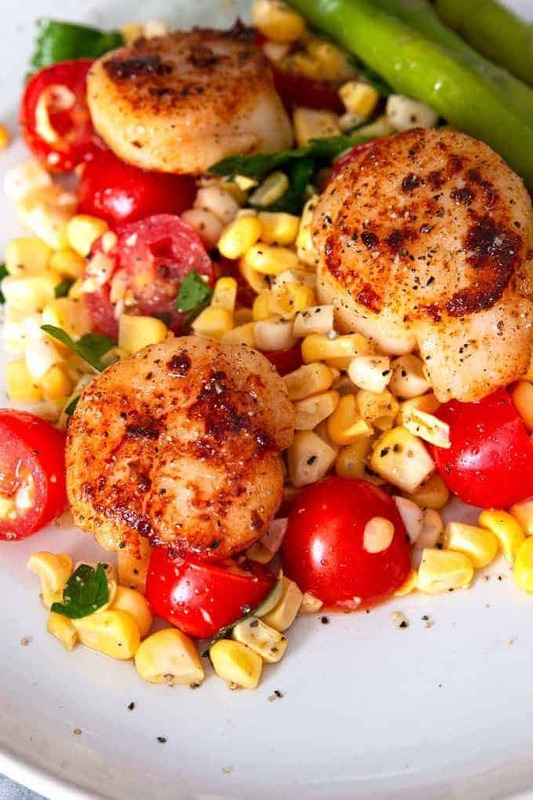 Summer is the perfect season for fresh seafood and delicious wine. 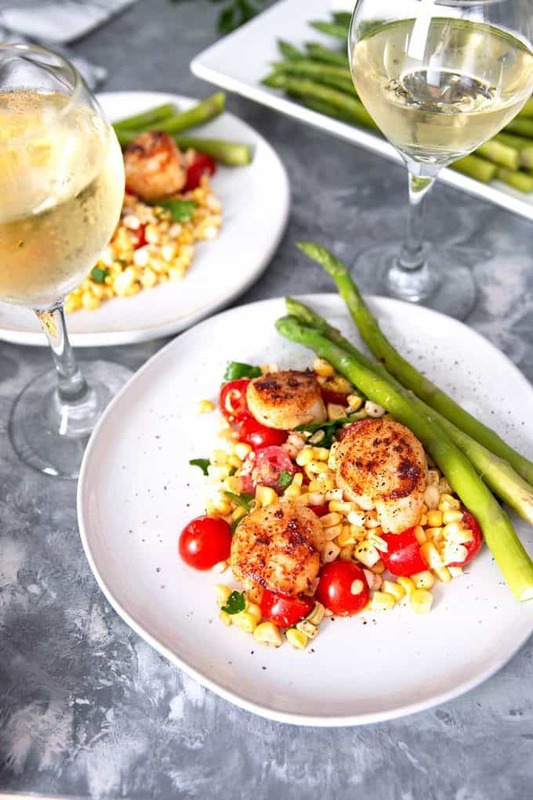 I like white wines when its warm outside and find that they pair perfectly with light seafood dishes like seared scallops or flaky white fish. When I traveled to Sicily several years ago, I ate some of the most delicious meals. Most of them included seafood, which isn’t surprising on the island of Sicily. What surprised me most wasn’t the abundance of seafood, but the wine! I expected to hear the names of types of wine that I have had at home; instead dishes were paired with varietals that were brand new to me. This led me to search out information on the wines of Italy in general. Did you know Italy has been producing wine for 4000 years? It should be of no surprise that Italy has used that time to focus on producing wines of the highest quality and taste. Italy is broken down into 20 regions and each one is further broken down into DOC and DOCG zones. Over 2,000 types of wine are produced in Italy, and thanks to modern legislation, there are strict regional rules to make sure the wines of Italy uphold a certain level of quality and, most importantly, reflect the local traditions. DOC means denominazione di origine controllata, with the added “G” in DOCG meaning garantita. To be labeled DOC or DOCG, wine production has to follow strict guidelines and the wine itself has to have specific characteristics. There is a real passion for high-quality wine in Italy. Thankfully, there is no need to go to a restaurant (or Italy!) to enjoy Italian wine. On your next trip to buy wine, take a good look at the labels and purchase a bottle with the DOC or DOCG designation, which can be spotted on a numbered strip around the bottle neck. 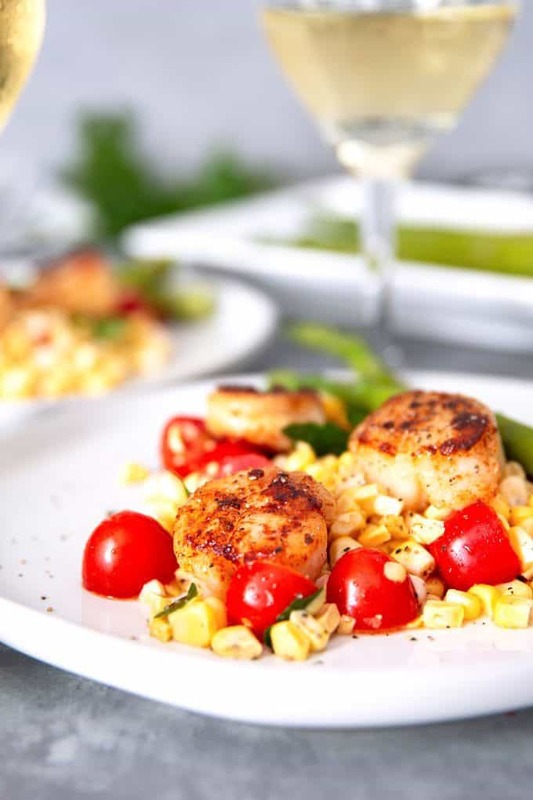 There is also no need to leave the house when you can enjoy easy seafood dishes at home. Fresh flavors and fresh seafood go together. Some of my favorite seafood dishes are simple but full of aroma and flavor. I like to toss shrimp in honey and red pepper flakes. The combination of sweet and spicy, along with pasta and a cold glass of wine are perfect on a hot summer day. 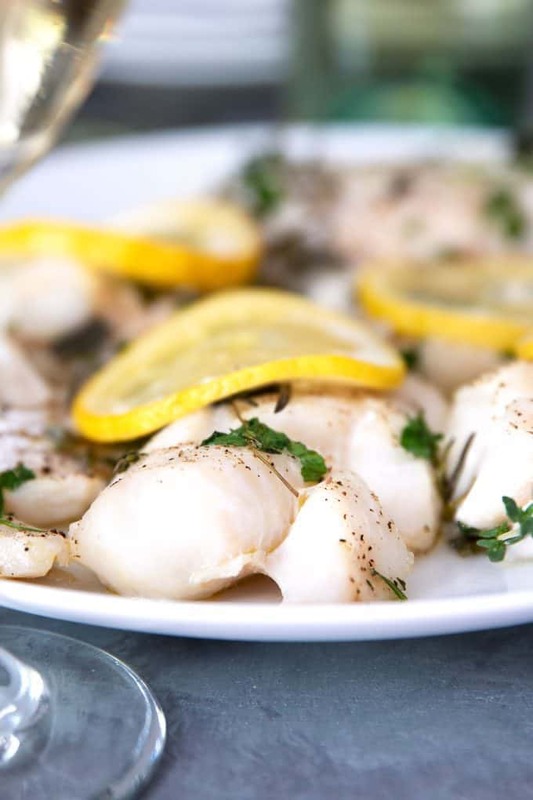 Baked white fish, like cod, halibut or tilapia, are delicious topped with fresh herbs and lemons. This dish brings me right back to my time in Sicily! 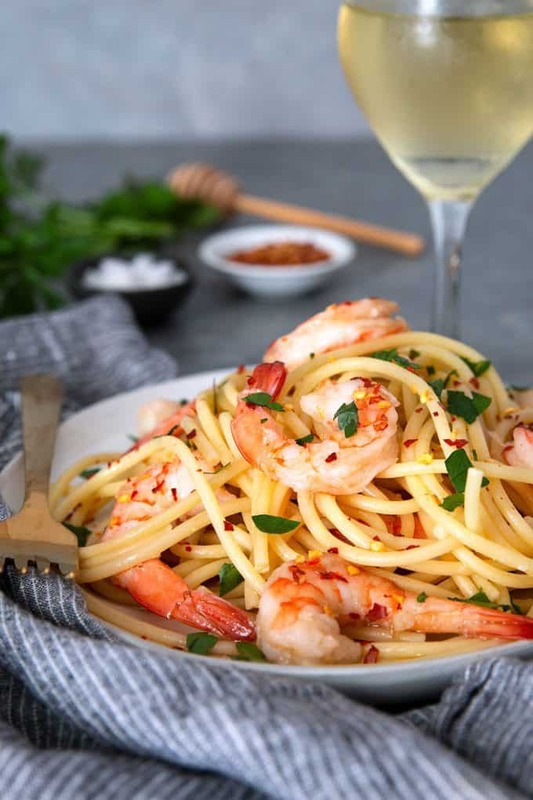 When pairing your seafood with wine this summer, look for Italian white wines and pass on your usual bottle. Don’t be afraid to step outside your comfort zone because there are always new options for you to try. With well over 200 different white-grape varieties and dozens of white wine appellations, you can try a new wine every day! Shrimp – Friuli Isonzo Sauvignon from the Isonzo region of Friuli, Northern Italy. Sauvignon Blanc grown in these gravely soils is quite unique, featuring crisp acidity balanced by a creamy texture. Fresh Fish – Grillo from the island of Sicily. Grillo is crisp and easy to drink – perfect for hot summer nights. This is a particularly trendy Italian grape right now, but generally speaking whites from Sicily are delightful. Clams and Mussels – Ischia Biancolella from Ischia, Campania. Ischia is a volcanic island in the gulf of Naples. There are several other delicious types of white wine from Campania, so if you can’t find Biancolella, ask your wine shop for something else from this region and you are unlikely to be disappointed. Shellfish – Vermentino di Gallura from the northern end of the island of Sardinia. Vermentino is grown all along the nearby coastlines of Tuscany and Liguria as well, so this should be a relatively easy wine to find. Crab – Soave Classico, one of the great DOCs of Italy, is a dry white wine made from the Garganega grape near Verona in the Veneto region in northeast Italy. I mainly picked white wine-grapes from island regions or regions with maritime climates. What better wine to pair seafood with than a wine made near the sea! Click here to learn more about wines of Italy. And watch this video to learn even more! 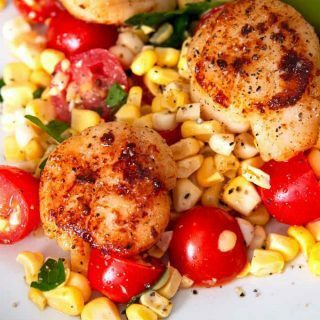 Seared garlic scallops over corn tomato relish is the perfect summer meal! In a large skillet, heat the butter and extra virgin olive oil over high heat. Salt and pepper both sides of each scallop. When the pan is hot (smoke will rise from the pan), add the garlic and stir well. Then place the scallops on the pan. Sear on each side for 1 1/2 minutes. In a medium bowl, combine all of the corn tomato relish ingredients and stir to combine. 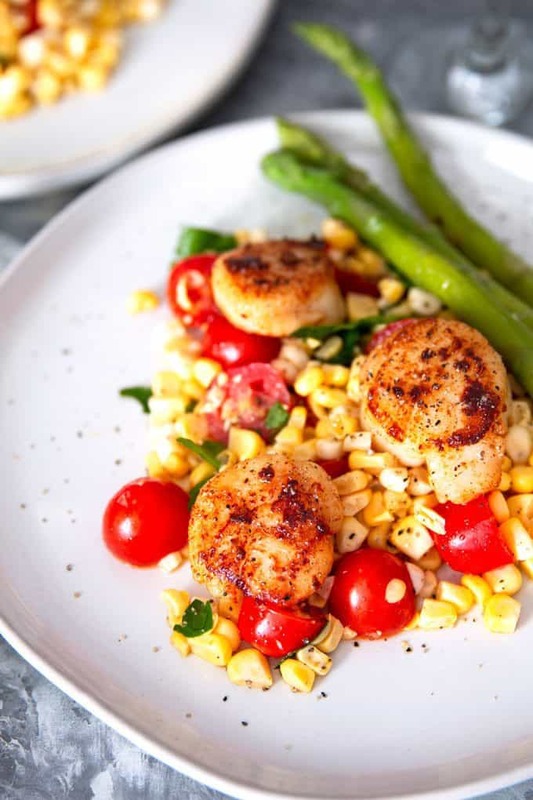 To serve: spoon the relish onto 4 plates and place the scallops on top immediately after cooking. Excited to try this one and definitely going to look up some of these wines I’ve never heard of! That looks delicious. Pairing suggestions….awesome! I definitely prefer red wine over white, but I have wanted to try a little more white, especially in the summertime. I find it intimidating to try new things. These pairing suggestions maybe the push I need to help me broaden my horizons.